Welcome to Trim Work by Design's virtual Showroom! Trim Work by Design offers our customers a unique and high quality design service for your home. A Canadian company, based in Toronto and with over 15 years of experience our customers can enjoy an unparalleled level of trade expertise with an extensive provision of installing service in Toronto and throughout GTA. We provide the customer with a fantastic range of choice and professional commitment towards your satisfaction. 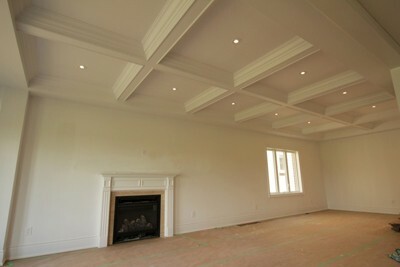 MDF & Wood Crown Mouldings - Manufacturing and install. Custom Kitchen Cabinetry. Manufacturing and install of Wall Units, Fireplace Mantels, Libraries, Offices, Closet Organizers, Bath Vanities, Custom Furniture, or any other cabinets. And More: Wood or MDF Interior & Exterior Decorative Columns, Baseboards, Shoe Mouldings and Quater Rounds, Windows and Doors Casing, Chair Rail & Wall Appliques, Wainscoting Wall Panels, Ceiling Medallions and Flexible Mouldings.